At the 2009 NHL Entry Draft, the Edmonton Oilers felt they had secured a pair of key pieces in their rebuild with the selections of Swedish forwards Magnus Paajarvi and Anton Lander. While both were expected to develop into productive NHL players, neither one managed to live up to their advanced billing. Ironically enough, the organization went out and found another pair of fellow countrymen to fill a need but this time around the duo of Oscar Klefbom and Adam Larsson have delivered on their promise. 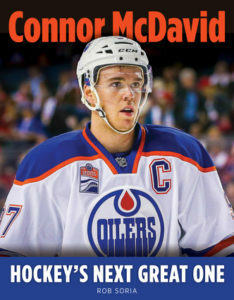 During a season in which Edmonton has been carried by the phenom that is Connor McDavid and received key contributions and performances from the likes of Leon Draisaitl and Cam Talbot, the argument could be made the emergence of the Swedish pairing slots next on the list of importance. Andrej Sekera remains this team’s best defenceman but he is no longer being asked to fly solo as he was during his first season in Oilers silks and the results speak for themselves. When you the couple the return of a healthy Klefbom with Peter Chiarelli’s decision to add three NHL quality blueliners (Matthew Benning, Larsson and Kris Russell) the Oilers backend was essentially transformed overnight. Instead of putting a bunch of mismatched parts together and simply hoping for the best, Todd McLellan now had the tools to build an anchor pairing to slot alongside Sekera and it changed the entire look and feel of his backend. The combination of Klefbom’s all-around game with Larsson’s shutdown ability’s in his own end, have been a godsend for this team. It took a bit of time for the two to mesh but they have morphed into a solid tandem. The nineteenth overall pick of the 2011 draft has shown flashes of becoming that so-called top pairing guy this organization has been searching for and he is just now getting comfortable in his skin. With a mere 183 games on his resume, the 23-year old is still a young pup in NHL terms. After giving fans a brief glimpse of an offensive side to his game during an injury-riddled 2015-16 campaign, Klefbom has continued down that path in 2016-17. As of this moment, the native of Karlstad, Sweden sits in a tie for 8th in goals scored among defenceman and has a respectable 30 points on the year. His willingness to jump into the rush increases with every game and while he will never be confused with fellow countryman Erik Karlsson, the kid possesses the necessary skill-set to do this on annual basis. He has gone from a second-unit guy on the power-play to being a main cog in the wheel, thanks in large part to his heavy shot but his ability to pass the puck and find the open man is greatly underrated. Klefbom has taken strides in his overall defensive game but is far from a finished product. He still struggles with his gap control on attacking players and is get to puck focused from time to time but again, we are talking about a guy who is starting to scratch the surface on the kind of defenceman he will ultimately become. In previous seasons, the likes of a Klefbom or Justin Schultz were force-fed minutes and situations they were not ready for and the results were rather predictable. As if that ask wasn’t already bad enough, these kids were expected to do it while either playing alongside one another or inferior veterans and borderline NHLers. The hope was the general manager’s offseason additions would address such shortcomings and Larsson has been the absolute perfect fit for No.77. At this stage, there is no point in going back and trying to justify or condemn the trading of Taylor Hall to the New Jersey Devils for the 24-year old blueliner. What’s done is done and if we remove that angle out of the equation and simply look at whether or not Larsson has been a good fit in Edmonton and the answer is obvious. His shutdown capabilities, aggressive style of play and calmness in his overall game has been a welcome addition to this club and one that should not be taken for granted. For those who have suggested the former fourth overall pick has somehow been better than expected, my response is simple. What did you think he was? Outside of the nasty edge to his game, Larsson has delivered exactly what should have been expected from him. He has always been a solid defender who could handle hard minutes on a nightly basis but also one who lacks puck-moving abilities. However, when paired with the right partner, the potential to have a positive impact is quite real. In my mind, there is a reason why Klefbom has emerged and that is because of who he plays with. As a defenceman, if one cannot trust their partner to cover up potential mistakes, you will never get out of neutral and that is not a place you want to be in today’s NHL. The confidence a player gains from knowing they can take the occasional risk without fear of getting burned is priceless and it has helped transform the Oilers backend from one the league’s worst to a solid, albeit unspectacular, group. These are certainly exciting times in the Alberta capital. With a return engagement to the NHL playoffs only a couple of weeks away, this city can hardly contain itself with the anticipation of what the future might hold. 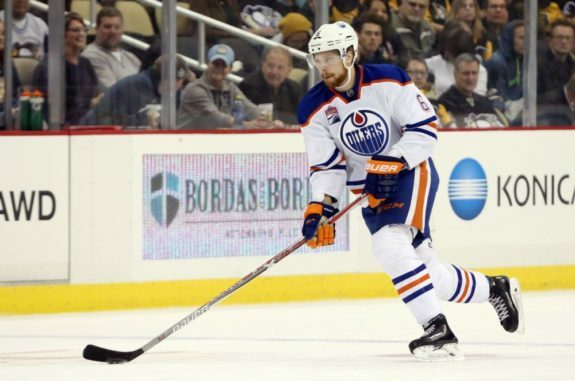 While expectations should remain realistic, you can bet the duo of Oscar Klefbom and Adam Larsson will play a big part in whatever degree of success the Edmonton Oilers achieve during the post-season…just as they have throughout the regular season.